Autumn is here! This time of year is so beautiful. For ages we seemed to be in the middle of what felt like a prolonged summer (which of course I am not complaining about at all) and is it, or is it not autumn yet? Well, finally, I think we can safely say autumn is upon us. The leaves are falling and on my commute this week it was four degrees at 7am. The coats are on, gloves dusted off, scarves and hats at the ready and log fires burning. Now is the perfect time to boost your natural immunity and give your body the best chance of defending yourself against some of those pesky change-of-season bugs that will soon be floating around – not to mention the dreaded cold and flu season. Traditional Chinese medicine teaches the five-element theory where foods are inextricably linked to season, flavour, colour, and organ. Foods that reflect the season’s colours are most beneficial to our bodies during that time of the year. Autumn is a season for white, red, yellow and orange foods. Think root vegetables, pears, radish, onions, garlic, white beans, winter melon, tofu, cauliflower and jicama – a type of turnip. White foods are high in allicin, which reduces blood sugar and has strong anti-inflammatory and antioxidant properties purported to support the lungs and large intestine. 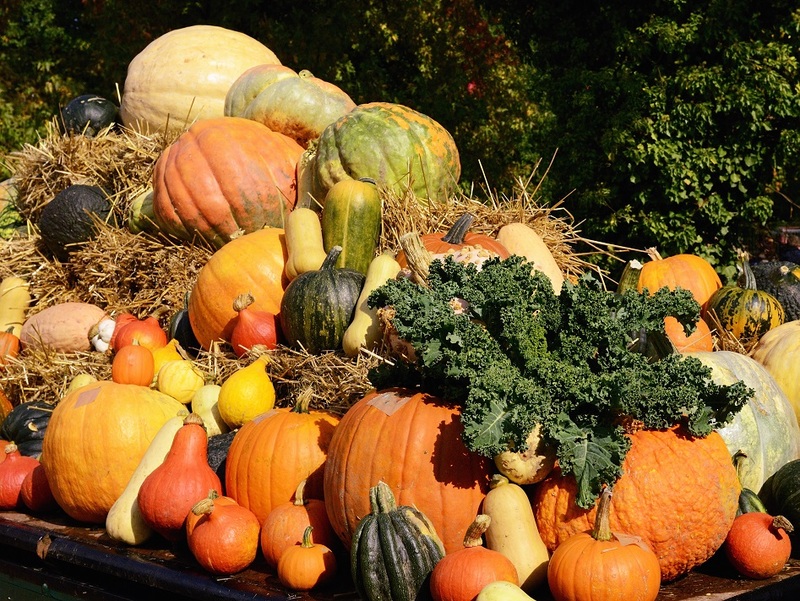 Try also boosting your diet with foods that are naturally orange, red and yellow – autumn-like colours. Think pumpkin, squash, oranges, carrots, lemons etc. As the days get shorter and the nights longer, motivation to keep up with your summer fitness routine can significantly drop. Exercising earlier in the day is one way of battling your change-of-season fatigue. Getting into an early workout routine will guarantee you stay on top of your health regimen and also free you up for more downtime in the afternoons/evenings to relax and unwind. Resting and recuperating this time of year is actually as important as exercising, so make sure you are allowing enough time in your day for both. Another great way to keep moving as it gets cooler is by utilising household chores like gardening, raking leaves, cleaning out wardrobes, and packing away your summer gear. Including these jobs into your everyday activities will keep you moving all autumn long. Avoid comfort food binging. The lead up to winter can be a bleak time for many dieters. Whether you’re trying to lose a few pounds or just trying to maintain a healthy weight, staying strong through the change of season is important. While the cold weather makes most of us want to reach for our favourite comfort foods, there are ways to curb your body’s urges. Keeping up with a regular workout routine is the first. The basic rules is if you’re eating more you need to be moving more. Secondly, try to avoid going to parties or functions hungry, too many food and drink choices are sure to foster overeating. Avoid that extra glass of your favourite tipple, alcohol can be warm and comforting but its also loaded with calories. Treat your allergies. Allergies are also something that can trigger wheezing, lung issues and sinus aggravations this time of year, but try to be clear about what triggers you. Then it’s easier to avoid, protect and address your issues more appropriately. It can be dust, mould, damp air, coldness, animals, dry air with heating, and the list goes on. However, do not despair as there are so many ways of treating yourself naturally. Acupuncture, for instance, has emerged as one solution for what’s ailing you this autumn. The World Health Organisation believes acupuncture can provide benefits to those suffering from acute sinusitis, acute rhinitis, cold, acute tonsillitis and bronchitis. Reflexology is also useful in many health situations, as is homeopathy (always seek a registered professional). Having aromatherapy oils burning in your house can also help protect you, such as peppermint oil and eucalyptus. They can help ward off unwanted airborne viruses and keep your breathing pathways happy. Foods, of course, are vital, because they can make the difference to your immune system. Avoiding too much dairy and wheat for example, could help improve sinus and chest congestion. Try adding some daily fennel. Why? This wonderful aromatic herb fennel contains good levels of phytoestrogens while also acting as a digestive carminative. If your digestion is working properly, you can guarantee your immune system will be working better. Fennel may also help balance oestrogen levels while relieving IBS symptoms brought on potentially by anxiety or stress. Fennel contains good amounts of fibre, potassium, folate and vitamin C as well as B6. It supports heart health by reducing the amount of cholesterol in the blood. Try a light salad with strips of fresh fennel or a cleansing Fennel soup – always make fresh from scratch. Why include cauliflower? Although available all-year-round, cauliflower is at its best in the winter months. The florets are great used raw in a salad or as part of a crudité selection served with dips. Cauliflower contains antioxidants and phytonutrients that can protect against cancer, fibre that helps with satiety, weight loss and a healthy digestive tract, choline that is essential for learning and memory, as well as many other important health benefits. This vegetarian delight is filled to the brim with delicious, seasonal goodness and provides a healthy snack or soup that will leave you feeling great.